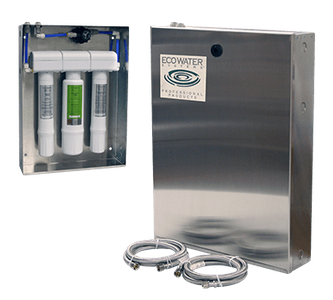 EcoWater's Safe Fountain System (SFS) is an economical solution that retrofits to your existing fountains and insures the highest quality water for students and staff. In addition to removing contaminants, it produces great tasting water that will encourage good hydration habits. A blend of new technology and purpose built design brings a total solution to drinking water purification. EcoWater's SFS in an economical solution that retrofits to your existing fountains and insures the highest quality water for students and staff. In addition to removing contaminants, it produces great tasting water that will encourage good hydration habits. Moreover, it provides the school district with an immediate solution that is cheaper and easier to maintain than bottled water.